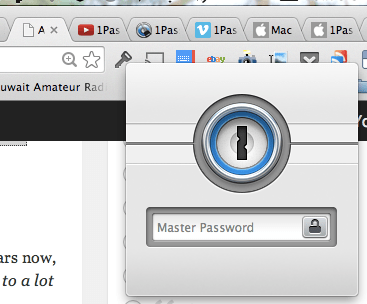 1Password – No More Sticky Notes from AgileBits on Vimeo. Basically, you can save your current passwords on your computer (in a local encrypted file) or store that encrypted file on storage platforms such as dropbox and access to that through different devices and platforms. You then install browser plugins that will automatically capture login data or that can generate credentials for you based on the level of difficulty that you choose and voila! The only downside of generated passwords is that you will need one password to logon, and it won’t be via memory as the password would be as complex as can be. Which Version to Choose ? 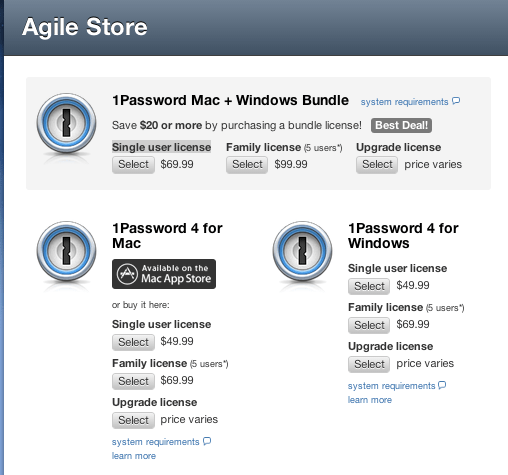 I would personally recommend buying the 1Password Mac + Windows bundle if you use multiple platforms, it’s just $20 more but whenever you choose to change your OS, you will have your trusted application to use with you at no additional cost. I highly recommend using it, and would be glad to answer any of your questions about it here!